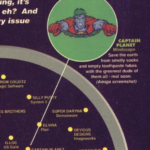 To milk the success of the then popular super hero, who saved the planet from pollution with his friends (All of which had special powers based on the 5 main elements of the planet), Mindscape cashed in by gaining the rights to a home computer conversion. 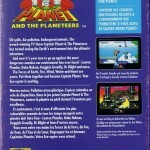 The adverts were pasted in all the magazines, which advertised that the game was due for the 8-bits. The game appeared on the Amiga, as a average platform game (Which was to me quite enjoyable). It simply involved you controlling each character from the game on a level relating to their special element power (Fire, Earth, Water, Wind, Heart etc), and having to rid of all the pollution. It was very Mario-esq in certain ways. 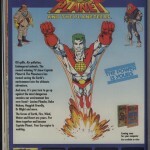 The game also surfaced on the Spectrum and Amstrad. Dave Perry and Nick Brunty did the Spectrum/CPC versions in record time. As for the C64 version, well, nothing was ever heard apart from the odd news snippet, and a longish stay on Commodore Format’s Early Warning scanner, before completely disappearing in early 1992. 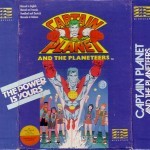 There were rumors that either Tony Crowther or Jason Kingsley were behind the C64 conversion. Jason Kingsley has been credited to the Amiga version along with Tony Crowther, but both have in recent times confirmed that they never worked on a C64 version. So maybe it was just Probe? Nick Jones and Neil Coxhead of course were developing still at the time. However Nick Bruty confirmed that Probe were only ever contracted to do the Spectrum and Amstrad versions of the game. This of course is really strange – as the C64 had the stronger market of the 3 machines. We spoke to David Amor and Richard Leinfellner, who worked at the Mindscape UK headquarters at the time. They confirmed that no C64 version ever got started, as they were not able to find a suitable C64 developer who could create a game quickly enough. 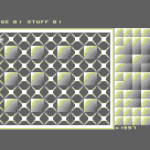 Nick Bruty and Dave Perry had pre-set libraries ready to go, so were able to get a conversion together in very short time (believed to be off the back of Paperboy 2) – but there were no such options available on the C64 to them. They decided not to pursue the C64 version and quietly scrapped it. Sadly it means there is nothing to find of a conversion and it is very much a case closed on a long running mystery!